I tried the new version but it stops shortly after the Bluetooth connection is made, maybe 1-2 seconds. I do see the lights flash a lot on the OBD2 adaptor before it stops. I don't have a KW-902, I have a different ELM327 Chinese clone. It did work with the older version b1668 so I was hoping it would work with the new version. Are there any logs or crash files I can send to help debug this? The soulspy...txt file may contain something interesting, so the last lines from that file can provide a clue. It is in the SD card downloads directory. 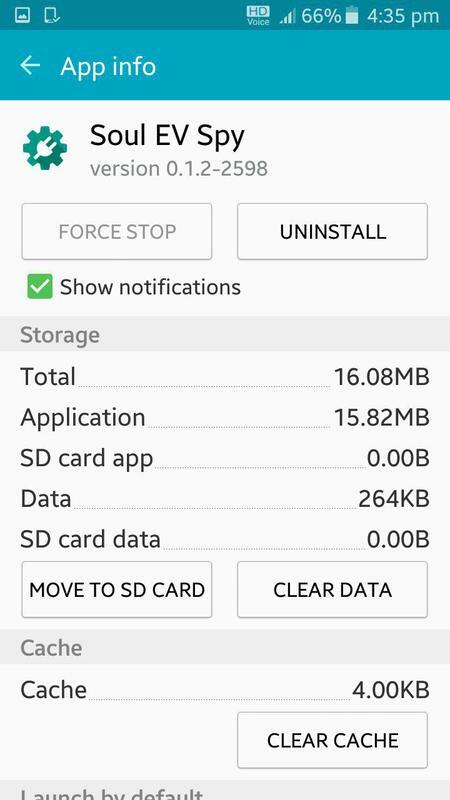 My Downloads directory is actually under "Internal storage" rather than "SD card". I only see log files and CSV data there from when I ran the old version in 2018, nothing 2019 from the new version. Thanks, this new version works for me! Cool, thanks for the feedback! Interesting that it works with another clone. I have tried a few, and for those, only the KW-902 works reliably with the SoulEVSpy app. I have downloaded and tested the latest app. It is 'working'. (sort of). I don't think it is ready yet to recommend to anyone, but it is getting close. The SOH calculations are incorrect. I have opened an issue on your github - Langemand/SoulEVSpy. I have no idea what the precise SOC measure is showing. There is no value shown for odometer. That is one of the missing values from Torque that would make SoulEVspy useful for me. The other 2 are the ambient temperature and the GOM, which you do already show. SoulEVSpy lacks a user friendly interface. You need to turn bluetooth on first, otherwise it crashes. 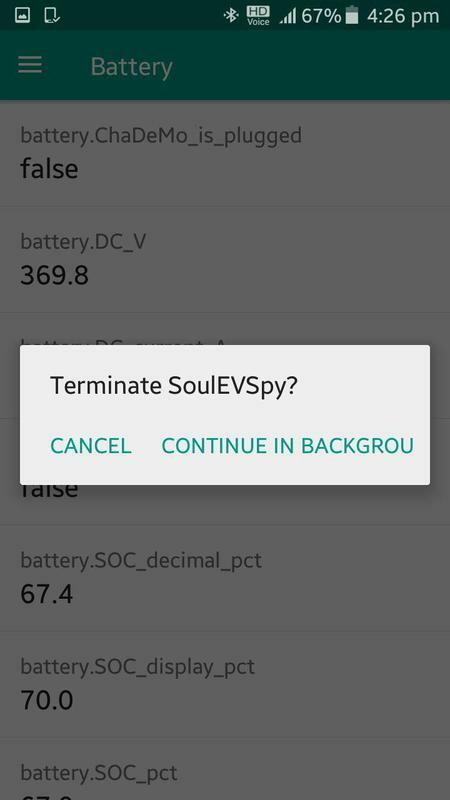 There is no way to turn SoulEVSpy off from the app. You have to FORCE STOP from settings. I was out car shopping today and successfully used a Panalong OBDII dongle with this software. Took me a bit to figure out the menu, but finally got the SOH from two Soul EV's, both 2016 models. One with 20K miles showed 94.9% but the range seemed really low. Another one from Southern California showed 113% and the range was right where I would expect it to be (60 miles at 60%) with only 8600 miles. How should I interpret these readings? The low mileage one has a more than perfect battery, or the other one is more likely at 84%? The estimated range primarily depends on how the car has been driven previously, you cannot use it for comparing two used cars. The reading of 113% SOH seem to indicate that the latest build of the SoulEvSpy was not used, and that max det reported by the car was zero. In my car, max det is zero after the aux 12 volt battery has been disconnected, until the car can next estimate it (after charging close to 100% and discharging to below 10%).